I read somewhere on the internet that an underwear to a woman is what a suit is to a man or something . . . . it confused me a bit a first but I guess what they were trying to get at was that a man feel empowered and confident in a suit whereas, with a woman, we feel confident and powerful in underwear that makes us feel badass AF. TBF, I'd also feel the same in a power suit too and I'm sure there are men out there that feel the same with underwear but hopefully, you get where I'm going with this. 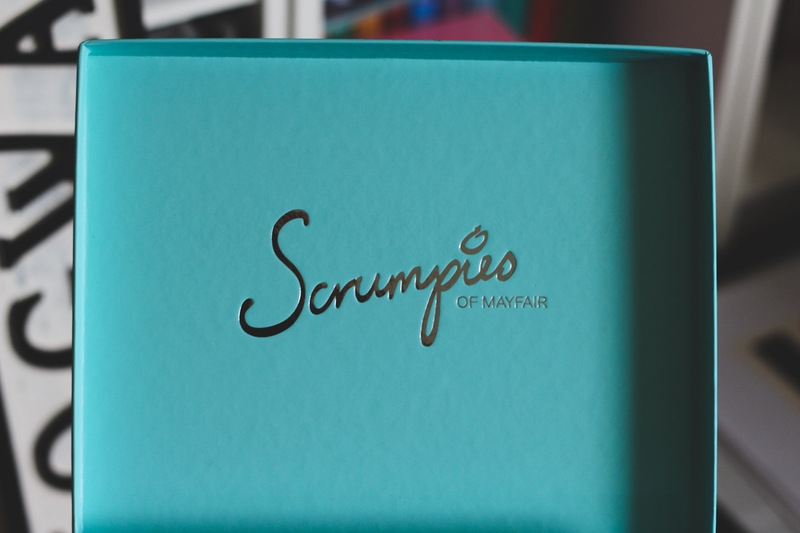 I was asked by the guys at Scrumpies of Mayfair if I'd like to review a pair or their luxury pants described as ''miniature works of art'' and after receiving my pair, I can totally see why. 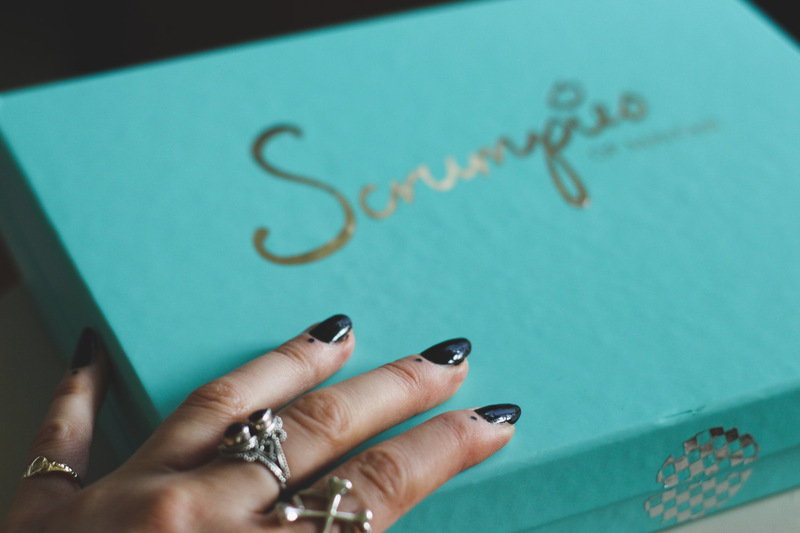 Each pair of pants is named after ''scrump'' which I learnt means to steal apples from an orchard, who knew? The pair I went for are ''gala''. I couldn't resist the tropical twist to these pants. As yay gal loves summer and is currently hating the winter months and temperature I thought I'd get a vibrant pair that paid homage to my favourite season. That and they were uber colourful and you know I'm a sucker for colour. 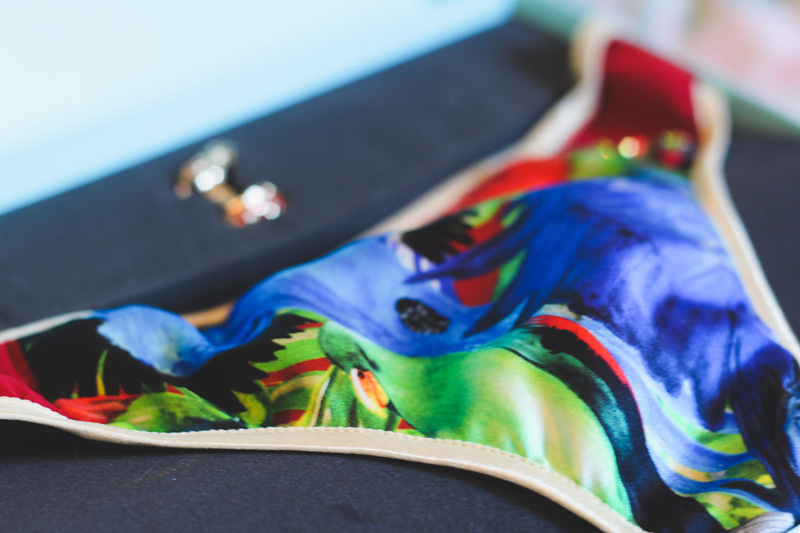 This pair, in particular, was printed with a handcrafted tropical print, with side panels of red silk and gold satin elastic trim finished off with sparkling volcano crystal buttons on the left-hand side.Not to mention the gorge little charm and keepsake each pair comes with. Mine is a beaut golden one, finished off with Czech crystals in vibrant hyacinth. 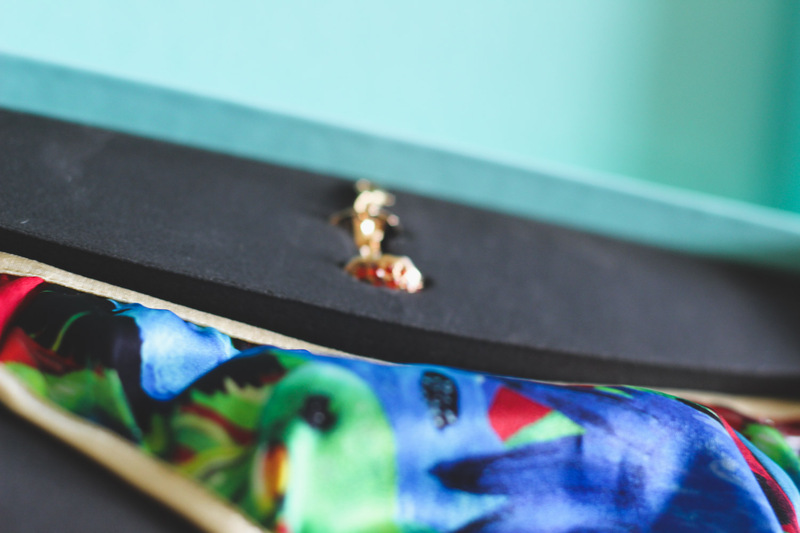 Lastly, each pair comes displayed in a hinged box that makes the whole experience that more luxe!